Dated and stamped by the calligrapher. This is a handwritten Chinese brush calligraphy frame. 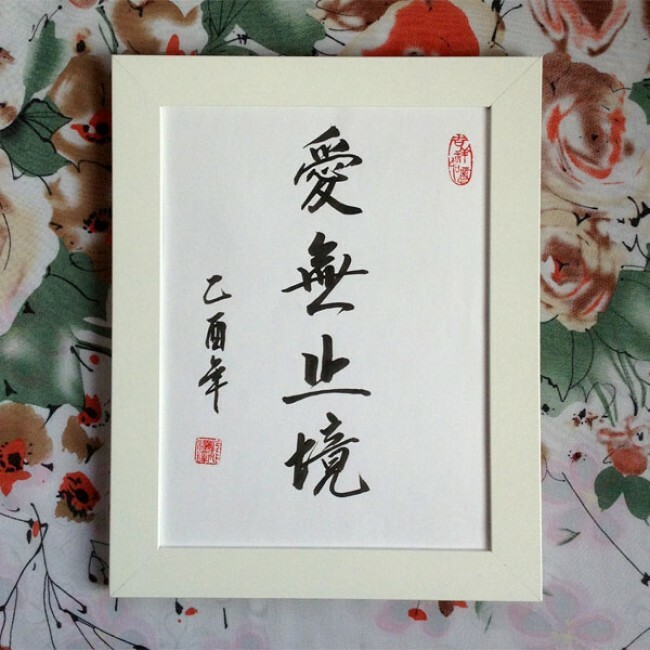 The Chinese symbols mean “Love Without Bounds”. Dated and stamped by the calligrapher.